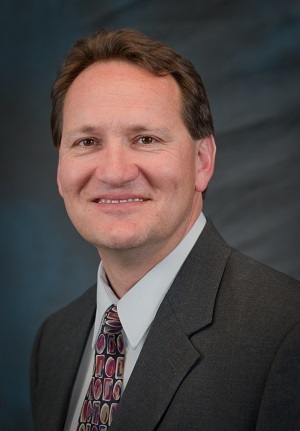 Dr. Hinrich Eylers is the Executive Dean of the School of Advanced Studies, which offers the University’s doctoral programs across all academic disciplines. His career spans over 20 years in business, academia and the sciences. As Executive Dean, Dr. Eylers’ emphasis is on providing quality professional doctoral programs, expanding the program portfolio, increasing student retention and promoting and enabling innovative research and scholarship on behalf of the entire University. He is also one of the primary executive sponsors for University-wide technology projects related to student learning. At the University, Dr. Eylers held a number of additional leadership roles including Associate Provost and Dean of the College of Natural Sciences. Before joining University, he spent 15 years in leadership roles in environmental engineering consulting, sustainability consulting, teaching and business and technology program management. Dr. Eylers earned a University Diploma in applied physics from the Technical University in Munich, Germany, before attending the California Institute of Technology where he received both a Masters and Ph.D. in environmental engineering sciences. He also holds an MBA from the Keller Graduate School of Management and was amongst the first to be licensed as a professional environmental engineer in the State of Arizona.